There was redemption of sorts for Ethiopia’s Minyahil Teshome Beyene as his spot kick sealed Ethiopia’s place at the 2014 African Nations Championship (CHAN) finals in South Africa. They are joined at the finals of the tournament for the locally-based players by Uganda and Nigeria, who qualified despite a 2-0 loss in Ivory Coast. 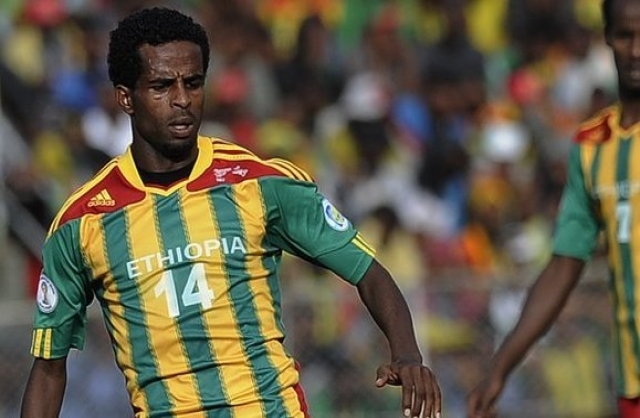 Beyene was the man at the centre of the mistake that saw Ethiopia lose three vital 2014 World Cup qualifying points but was the hero as Ethiopia beat Rwanda on penalties on Saturday. Rwanda won the second leg of the qualifier in Kigali 1-0 to make it 1-1 on aggregate. Ethiopia’s goalkeeper Sisay Bancha saved a post-match spot kick before Beyene stepped up and sent his team to next year’s finals in South Africa. Beyene played in the Walya Antelope’s 2-1 win over Botswana in a World Cup qualifier on 8 June when he should have been suspended, having picked up two yellow cards in previous qualifiers. Fifa overturned the win for Ethiopia and handed Botswana a 3-0 victory instead.